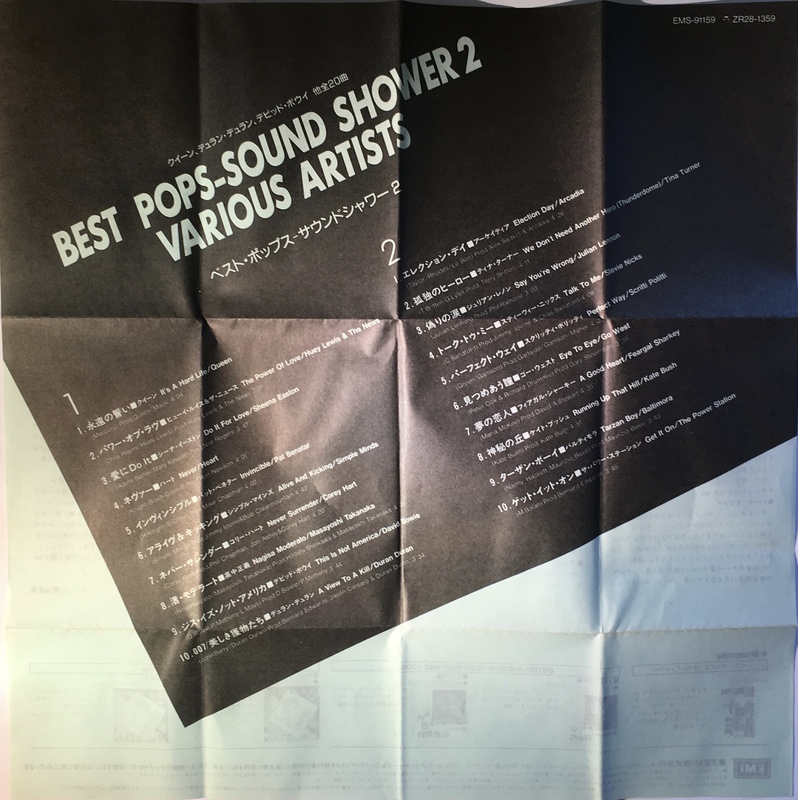 Best Pops Sound Shower: Japan; EMI, ZR28 1359; 1986. 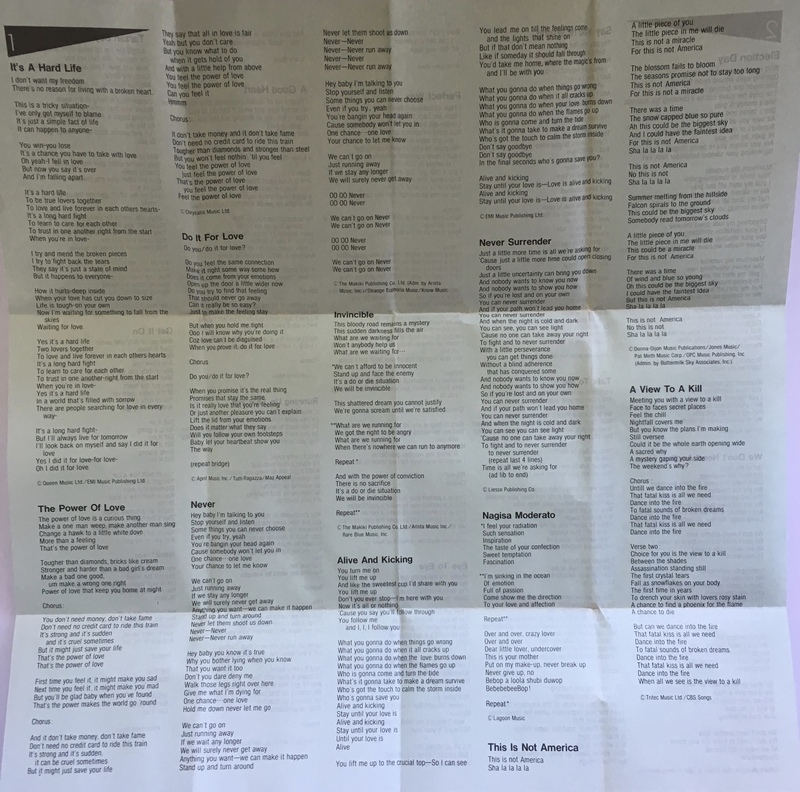 Glossy paper with track list on inner and rear half-panel. David Bowie performs on ‘This Is Not America’ (3:40 version) on Side 1. 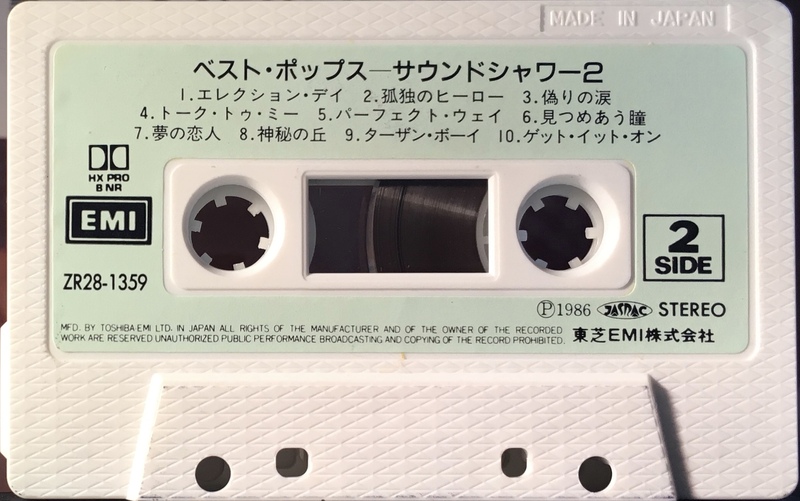 Green paper label on white ‘Made In Japan’ stamped cassette; manufactured by Toshiba EMI. Jasrac rights logo. Information in Japanese on side 1 and English on side 2. Comes with a double sided information and lyric page on light paper that folds into four and fits into the tape box.